Desktop Challenge | Ketuvim: the Writings of James R. Getz Jr.
Jim West has issued a desktop challenge. 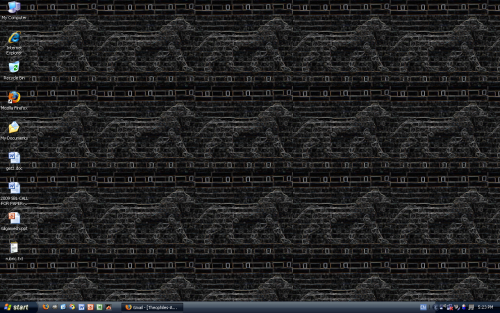 Like my blog (and my soul) my desktop is a dark affair. 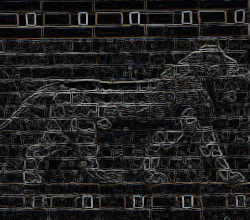 As an added bonus, here’s the image I’m using for my background, just in case you want to enjoy your own dark Mesopotamian motif. yeah what’s up with all the black? you a goth? Black goes with anything. Less time worrying about the wardrobe means more time to think about Ugaritic. Enjoy! I’ve been using this background for about six months and still love it.